Killarney has three wonderful temperate seasons for travelers who want to relax and enjoy the outdoors. Spring is a favourite season for many visitors to Killarney. Between the time the ice goes out on the interior lakes in the Park (usually late April) and late June, there are fewer travelers than any other time in the summer in Ontario. Weather conditions and temperatures range significantly during this time so we recommend that visitors be prepared for everything (see our recommended gear and clothing list for more help planning your trip). Temperatures can fall below freezing at night in late April and early May, but may still be quite warm during the day (10-15 degrees C). June weather can be as hot as peak summer months (20-30 degrees C), although visitors need to be prepared for cooler temperatures depending on the year. 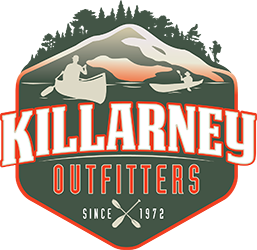 Summer is the warmest and the most popular time to visit Killarney. From the Canada Day holiday weekend (July 1st) to Labour Day Weekend (early September), the weather is warm at night (12-25 degrees C) and moderately hot during the day with very low humidity (20-30 degrees C). There is intermittent rain during our summer season on Georgian Bay. Visitors enjoy summer in Killarney as a welcome break from the humid heat of many North American cities.